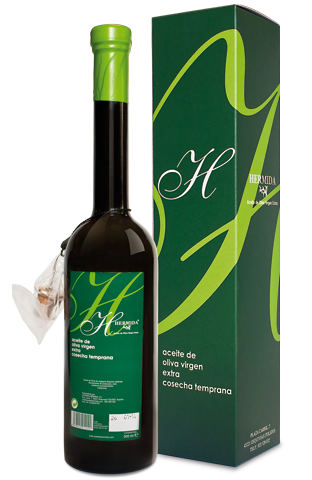 This oil, crafted with the utmost dedication and enthusiasm, is currently the flagship product from our oil press. 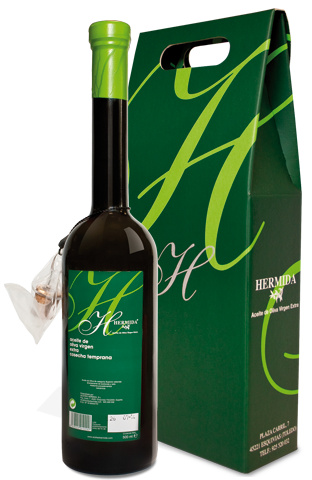 A combination of the cornicabra and picual varieties, the olives are ground within a week of harvesting, when the weather conditions are at their most favourable, and they have been gathered from small plots of low-density olive groves, situated at a height of 650 metres. Presentation in box 12 pcs. Presentation luxury box 2 pcs.